Symbolically Twins represent polarity, light & dark, expansion and contraction: they emulate our planet and humanity that needs healing. Exponential numbers of twin flames/twin souls on our planet at this time have a specific role to play: to heal individually and thereby impact collectively, and it appears this is a mammoth task. I often wonder why it is that forums of souls involved with the Twin Flame narrative are filled with posts from people hell-bent on looking outside of themselves for answers; continually distracted by the behaviour of their twin, who they are with, what they are doing, viewing them through the eyes of social media; or looking for signs to assure them that their perceived twin is “the one.” Then I remember, I too did all of these things and talked incessantly about him for years. They get under your skin in a way no one else does—or maybe can—because the twin mirrors and triggers you. I believe this happens on both sides of the twin coin. Whether one twin is running and the other is chasing is irrelevant. The runner runs because for some reason they’re afraid of the obstacles in front of them, they choose to hide, stick their head in the sand; they don’t want to think about or look at what you bring up for them—it’s too painful. But the chaser too is, in essence, running …from themselves, by not doing the inner work. They are both reflective. Abuse is also a word or topic that frequently shows up in posts. Strangely, it seems that people feel that this is acceptable because it involves their twin—who, it must be said, no one can know for sure is their twin or is not and, more importantly, whether the concept of twin flames is an absolute truth. Abuse from anyone is not acceptable and serves as a reminder that you are abusing yourself. I know from my own experience that it’s a lot of pain and confusion in the Twin Flame world but let’s keep our eyes on the prize: healing our core wounds, integrating our shadow, making a difference to the healing of the Whole. Shadow work is at the core of healing; focusing on your own situation and not the other’s, this is the way forward: being accountable and responsible for your part only. This is the planet of choice and consequence. We know that twins reflect so have you tried to write up a list of their hurtful behaviours that trigger you: She betrayed me; He’s mean; She was disrespectful; He took advantage of me; or She’s too bossy? Know that these sentences are gold; they will reveal aspects of yourself that need to be balanced and healed. The role of the twin—and most of the people who trigger you—is to help you heal your own trauma. If you are unsure about shadow work read here. There can be no reunion of any sort unless the energy between the twins shifts. This means that even if both do not make considerable effort healing their shadow one at least must. After a year of counselling, and two more years of significant soul work, the man I perceived was my twin began his own trajectory of healing. It took me time to realise that until one of us had done enough work the other could not leave the ‘wounding space’ to enable them to begin their own growth. But have you wondered if there’s an energy that is hindering the efforts of the Twin Flame collective? An energy that is malevolent, that most people are unaware of? Where there is light, there is dark. This is the planet of choice and consequence. Collectively we are all contributing to the level of consciousness of the planet. Read more about collective consciousness here. But there are subversive influences that continually engage people away from their focus of self-healing: dark thoughts, persistent pessimism or negativity. People who are highly sensitive and have out of body experiences have observed their bodies sleeping in their beds and witnessed entities whispering into their ears. (http://thecrystalsun.com/about/) How can we usurp their power? Be alert and be vigilant to the dialogue in your mind and know that if it does not serve you repel it! Your thoughts may well not be your own. Twin Flames may not be an absolute truth; there is no proven scientific evidence behind it. However, there is an interesting correspondence between quantum entanglement and twin flames that helps to propel my engagement with the possibility it is a divine undertaking that I pledged to be involved in prior to my incarnation. Science and spirituality was divided by the middle of the 18th century when Europe was ensconced in the Age of Reason, also known, ironically, as the Age of Enlightenment. There was a revolutionary change in philosophy, politics, and society that impacted the outlook of the populace. Humanity, having lived in unity with Mother Earth and her systems, began the trajectory of separateness and individuality. Now three centuries later, science and spirituality are realigning. Twin flames and science’s quantum entanglement sound to me like they have similar resonations. Scientists have shared, discussed, and researched quantum entanglement since 1935, when Einstein first discovered the phenomenon. 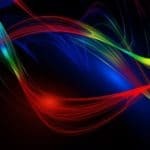 To date, quantum entanglement has shown us that a photon that is divided in two retains identical properties, they are twins and even over large distances the change of one photon, a light particle, will affect another that it is intimately connected to: its pair. Twin flames have identical frequency signatures because they were created as one and then divided into two, in their natural matter-less state they are pure energy. When they meet they will be vibrating at the same level, their matching vibration will draw them together, through the Law of Attraction. Their roles are to reconnect now; their encounter particularly drives one twin to pursue healing that expands and alters their consciousness. The rise and expansion in consciousness and increased vibration of one twin will have the equal effect on the other twin. As with the photon particles, the action of one will affect its pair. “Entangled particles are identical entities that share common origins and properties, and remain in instantaneous touch with each other, no matter how wide the gap between them.” – Malcolm W. Brown, New York Times Science writer.